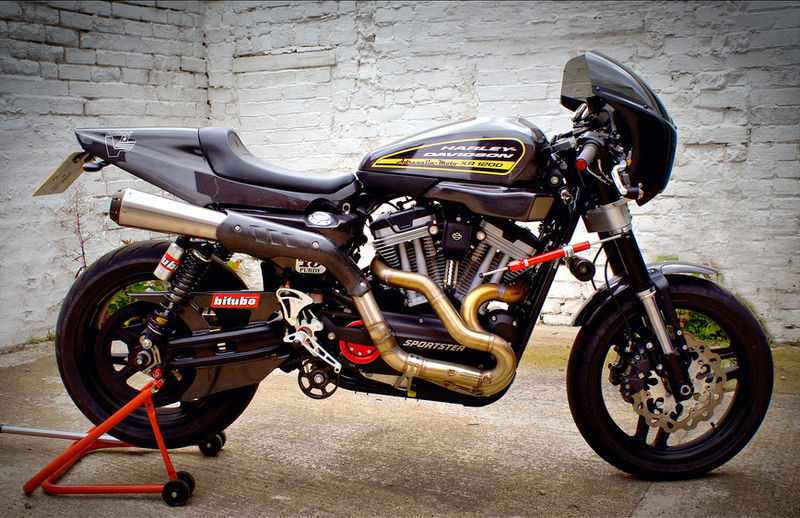 Found this XR1200 on Speedjunkies. It’s a AdrenlinMoto project bike that features nearly every aftermarket part they sell, and also reducing the weight of the bike by around 38kg! Adrenlin Moto now specialize in Harley XR1200 parts and accessories. If you want a list of all the parts on the bike check out this very impressive list. Also hit this sweet video showing MCNews test riding one of these pimped out XR1200’s.